Chuffed with the arrival of the Ardbeg Day poster. Unfortunately the nearest I'll get to Islay this year - but don't worry as in 2013 I have plans! 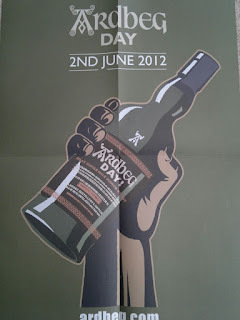 Another splendid, eye catching piece of design and marketing by those chaps at Ardbeg. Fortunately the whisky more than delivers.